When Boniface was five, he lost both of his parents. His grandparents were heavy drinkers who refused to care for him, and Boniface was turned out onto the streets. Boniface was a resilient, resourceful boy. He scrounged garbage pits for food and found various places to hide and sleep as needed. But as a five-year-old, he was too small to put up a fight when the older boys on the street chose to abuse him. One evening Boniface was huddled next to a shed, waiting for the rain to pass, when a familiar group of boys approached. He knew right away what they wanted, because they came often to use him in their robbery scheme. They took Boniface to a quiet house, picked him up and put him in through a window. All he had to do was go around and open the door for them, and he could go. But something went wrong. When Boniface opened the door, there were shouts, and boys running. Boniface was caught and arrested, along with the other boys who weren’t fast enough to get away. After questioning the boys, officials reported Boniface’s situation to the Kenya children’s department, which referred him to Horizon. In March 2011, at the age of six, Boniface was welcomed into the Micro Community of Baba Nyumbani, where his childhood was restored. Instead of a street gang of older boys who used him to serve their purposes, through Horizon, Boniface discovered a community that nurtures, respects, and encourages him. Instead of using his wits to secure food and shelter, he is applying them to his studies. 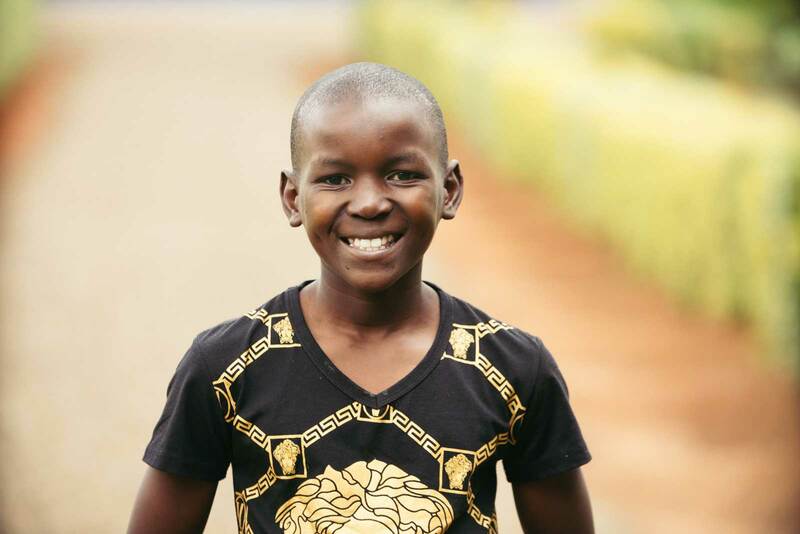 Today, Boniface is a good student who describes himself as “brainy.” His favorite food is chicken and french fries. Boniface has also developed a strong sense of hope, envisioning a bright future for himself. When he grows up, he wants to become a pilot.